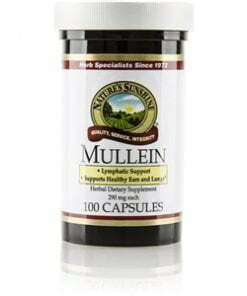 Commonly known by the names Donkey’s Ears, Bunny’s Ears, or Velvet Plant, Mullein’s high mucilage and mild saponins content nourish the respiratory system. The mucilage in mullein absorbs water in the windpipe, becoming slippery as it does so, lubricating the respiratory system. 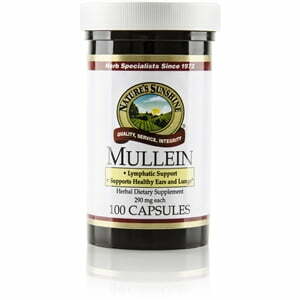 Each Nature’s Sunshine Mullein capsule is 290 mg.